Everybody who work with Shotta are shocked that 1) he is only 15; 2) how he just get in the stu and do his thang! Like he been doing this sh*t all his life; and 3) mostly that he is manageable and coach-able! Let’s get down to the nitty gritty!!! Hips N💋:I asked Shotta about when he started rapping and how he came up with his name. $hotta: I always knew I would be a rapper my entire life. I truly started free styling when I was like 7 or 8, but I didn’t start writing til I was 9 or 10.” My first time recording I was like 12 years old. Hips N💋: What about the name? Hip N 💋: As a young rapper coming up in the game who would you say inspires you to do your thang? $hotta: Man, I got alot of them. Lil Herb is one of my top favorite rappers. Lil Wayne, but them really the only people for real for real. Hips N 💋:Who are some artists you’d want to collab with right now? $hotta: I would like to collab with Thug, like ASAP fam! I know I want to work with Thug off rip, Future, the Migo’s definitely, Lil Herbo, of course; Lil Bibby, Chief Keef, and Ricco Recklezz. I gotta get some of Ricco Recklezz, I like him; um Luh Foe nah, not for real I heard he was a lil foo foo; I aint messing with that. Lil Jay when he get out of jail. Hips N💋: If u could get a deal right now who would u want to sign with? $hotta: I aint trying to sign with no one because independent money is the best money. Hips N💋 Smart Kid $hotta. So you don’t want to be signed to a major record label. Is that how u came up with MBK? $hotta: I’m the Co-Founder of the music label “MBK” My Brothers Keeper. Hips N💋: So why MBK? $hotta: Because I am my brothers keeper ALWAYS! “CGBB” Can’t Go Back Broke is a link to the label. I’m hungry to get this money! I love music and I love what I do. It’s easy making money doing what u love. Hips N💋: If u could choose any mentor dead or alive who would it be? $hotta: If Bankroll Fresh was still alive, I would’ve said yes to the question, if I would ever sign. I would definitely get signed to Street Money! Hips N💋: Why Street Money tho fam? $hotta: Why? Because Street Money was independent and it was a whole lot of real n*ggas. You know them is real some n*ggas and they are a loyal team. That is how I want my team to be a like a whole lot of real n*ggas and a whole lot of loyalty. If I got my hands on Bankroll Fresh man fam, it would’ve definitely been over wit. Man we wasn’t thinking, we thought about the Boochie feature after Bankroll died. We should’ve did that he was alive. Boochie would’ve been right there but Bankroll might’ve been right here in the studio. Hips N💋: What’s ur writing process like fam? $hotta: He loves to freestyle but he writes. As far as writing a song I don’t really write alot. It’s really not a lot of writing with Shotta, I catch writers block alot. I can’t write a full song at the house. So once I get to the studio I catch that vibe I get that energy. So I usually write the first part of the song and freestyle the rest. I do that alot. Every hit you done heard for real. I mean I been recording like crazy. My catalog is strong and I’m gone keep going! Hips N 💋:So what’s in the future for Shotta and when will the streets be able to hear Shotta? $hotta: I got C.O.B coming soon, coming January 23rd, I got C.O.B II coming right after that. I have a show back home in the Town(hometown Waukegan Il.) on January 20th. Actually, I want to do 7 mixtapes next year. Hios N💋:But why 7 mixtapes fam? $hotta: Good question, um I watch alot of interviews, I will sit there and watch interviews for hours. I watched a Ricco Recklezz interview, he said he recorded 6 mixtapes in a year. Right! I thought about it and was like that’s smart, because if you think about it, 6 mixtapes and if you really go hard, people are definitely gonna notice you after 6, but they gonna notice you after your 3rd one. So you feel me, I wanted to do 7 to top his; he got 6, I want 7! All I know is that Shotta go hard and he is built for this! I can’t wait for the whole world to hear this young fella. 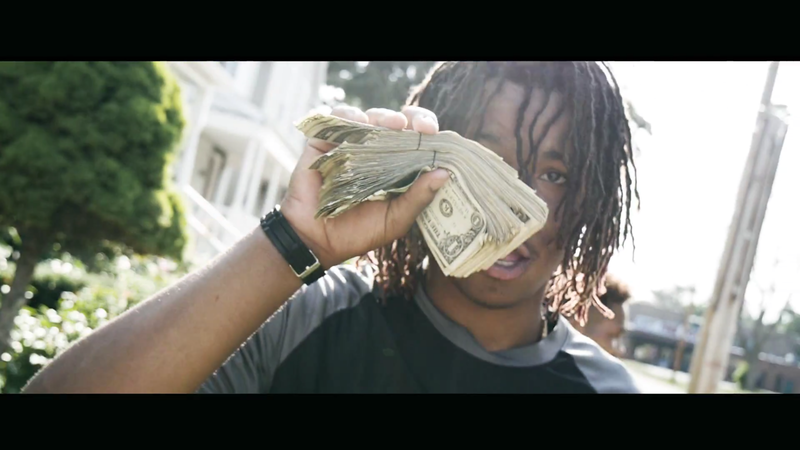 Between his God Given talent, his hunger for making it mixed with his crazy work ethic, $hotta is absolutely right; he WILL be successful in the rap game. 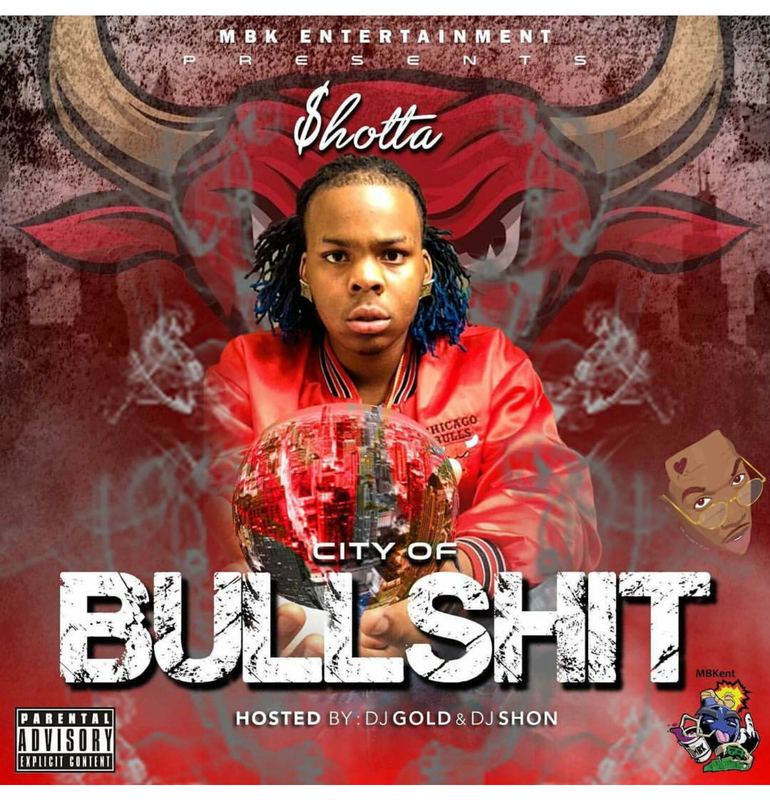 Go follow this young fella his social media where you can hear a small portion of his catalog IG: @930.shotta Twitter: @930shotta SoundCloud: SHOTTA. City of Bullsh*t coming to the streets near you January 23rd, mark your calendar! Shotta in this bihhh! Gang Gang!